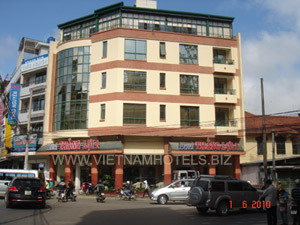 THANG LOI 1 HOTEL is a great location, a great services for visitors to Dalat. This new two-star-standard hotel is in the centre of Dalat city. GOLF 2 HOTEL is a great location, a great services for visitors to Dalat. This new two-star-standard hotel is in the centre of Dalat city. Doctor and nurse on call. Information on sightseeing, car rental, airlines and trains. Credit cards: American Express, Visa, Master Card, JCB Card are accepted. Restaurant serves all varieties of dishes including Asian, Continental, European and Vietnamese local specialities. Sky view barbecue - on the top floor of the hotel- offers a good view on the corner of Dalat city.